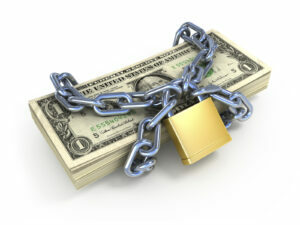 A loan officer can guarantee a specific rate only after it is locked with a lender. When this happens, the lender signs a contract with the investor that guarantees a particular rate for a specified duration of time. Before any of this happens any promise of a low interest rate is conjecture, as changes in market conditions will cause the rate to fluctuate. Why then, wouldn’t everybody lock their rate as early as possible? There are several reasons why doing so wouldn’t play to your favor. First, the rate may drop even lower and so waiting would be beneficial. Or, if your closing is scheduled far into the future, locking in a rate for so long may be very expensive; there is a significant cost difference between locking a rate in for 15 days or for 60 days. Furthermore, your lender may only allow you to lock after you loan has been approved, since it costs banks money to have an “unfulfilled” rate lock contract. The only way to know that your rate is locked is to have WRITTEN confirmation. This form should contain information about the specific rate that is locked, how long the rate is locked for, the name of the institution the rate is locked with, and any fees that are being charged in association with this rate. It is important to point out that most mortgage broker are typically not authorized to lock rates; the rate usually has to be locked with the lender the broker is working with. Does locking in a rate guarantee that you will get a mortgage at that rate? No! Your lender may turn you down altogether and you may end up with no mortgage at all. If you apply and are approved by another bank, with a completely different rate, you may end up with a new rate. Having a lock confirmation form does not guarantee approval of your mortgage.